35 hours per week. Fixed term to 31st March 2020. Working in partnership with Whitburn and District Community Development Trust CAB West Lothian will provide advice/information to the residents of Whitburn and will recruit/training and supporting volunteers to deliver the service. The successful applicant will have experience of providing advice on money related issues and carrying out casework on behalf of clients. They will also be experienced of working with, training and supporting volunteers. The applicant will also have excellent communication skills and the ability to work to targets/deadlines and have experience of producing reports for funders. Also required is proficiency in Word, Excel, e-mail and have knowledge of using a case management/recording system. 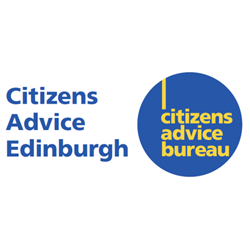 A unique opportunity has arisen to become a Bureau Manager with Citizens Advice Edinburgh. These roles do not often present themselves, which is testament to the quality and job satisfaction of the role. You will be joining an experienced team of 4 existing bureau managers and take on responsibility for the day to day management of our new premises in the Pilton and Muirhouse area of Edinburgh. You will also take on responsibility for managing our existing team of 20 volunteers and for the growth and expansion of volunteer base and service offering in that community. Your bureau will cover some of the poorest and most deprived communities in Edinburgh, but this is also a locality rich in culture and full of potential. This role offers the unique opportunity to become part of the established and highly respected Citizen’s Advice Service in Edinburgh with the chance to design and develop a service in new and expanded premises, right in the heart of the community. Over the last 6 months we have been working with other local charities to form a co-location partnership that will see at least 3 charities working together to utilise the vacant Pennywell Resource Centre and create a vibrant and much needed community resource. Successful candidates will have extensive knowledge and expertise of the advice sector, particularly in relation to Welfare Rights, Debt and Money Advice, Employment, Immigration and Housing. Previous experience in managing and supporting volunteers will also be desirable. You will have highly effective communication skills and be confident to work independently in a management role. You will have excellent written skills and be confident in Microsoft. You will have experience in recruitment, selection and supervision of staff and volunteers and experience or a proven ability to train and coach others to learn new skills. You will be flexible and able to support the development of this service with creativity and new ideas. You will have excellent partnership building skills and make sure that Citizens Advice Edinburgh continues to play a prominent role in understanding and responding to the needs of this community. Most importantly, you will provide an excellent service to people in need in your community and uphold the confidence and reputation of the CAB network in providing high quality, efficient and effective services. If you are passionate about social justice, addressing inequalities and community development, this is the role for you and an opportunity not to be missed. For further information, please download the Job Pack below. Hamilton CAB is a trusted local organisation with a strong track record in supporting and working alongside our community. We have a clear vision and an ambitious strategic plan. Our primary focus is to ensure that all citizens have easy, free, independent, impartial and timely access to advice and representation. We use the evidence we gather to influence local and national social policy and practice. Our main areas of work include: access to justice, social security, health and social care, housing, energy / fuel poverty, debt and community justice. As we head towards our 50th birthday, we are recruiting Trustees to join our Board of Directors. Do you have recent senior management and/ or governance experience in our priority areas? If yes, we would be delighted to hear from you. You must be socially aware, comfortable with our values and principles, resident or working within Hamilton area and interested in us! Edinburgh, East Lothian, Midlothian, West Lothian, Perthshire & Scottish Borders – please see our website for specific job locations. This is more than a job; it’s a career that supports people to live life to the full. We are looking for resilient and friendly Support Workers to join a team working alongside autistic people encouraging them to live as independently as possible and to be part of their local community. As a Support Worker you will promote positive health and well-being of the people that you support, enabling them to have a meaningful life and be involved in a range of activities. 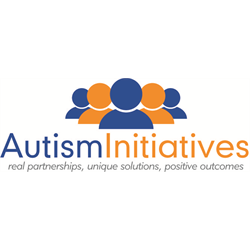 At Autism Initiatives we provide specialist services tailored to each individual. Experience is not essential, but a genuine passion to making a difference to the lives of autistic people, as well as a positive attitude, is key to being successful in this role. In return, we will provide you with ongoing training and development, including supporting you to obtain your SVQ Level 3 qualification, if required. Given the nature of this role, successful applicants must register with the Protection of Vulnerable Groups (PVG) scheme and Scottish Social Services Council (SSSC) or equivalent regulatory body. This is a truly rewarding role, with the opportunity for you to develop your skills and knowledge and fulfil your career aspirations. 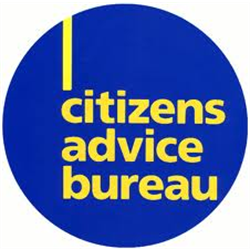 Argyll and Bute Citizens Advice Bureau, is an independent and innovative advice organisation providing holistic advice and support to local people. The Citizens Advice network in Scotland is set to deliver a comprehensive, enhanced support service called Help to Claim. From April 2019 Argyll and Bute Citizens Advice Bureau will provide the advice and support people need to submit their claim for Universal Credit and support them through to their first payment. Argyll and Bute Citizens Advice Bureau is looking for a client-focused individual with experience of providing specialist level advice, to join as a Help to Claim Adviser (Universal Credit) and to help ensure clients get the support they need. This includes supporting with online forms, the evidence required, and verifying their identity online using face-to-face and telephone advice. The successful candidate must be able to demonstrate relevant recent experience and knowledge of the welfare benefit system including Universal Credit. Applicants should also demonstrate strong oral and written communication skills, be well organised and be proficient in using a range of IT tools to carry out their work, including case recording systems, Microsoft Office, benefit check programmes and be able to make and manage benefit claims. Committed, results-driven and supportive to the needs of others, the successful applicant will be able to work both on their own initiative as well as part of a team and must be willing to follow and develop agreed procedures. This is a unique opportunity to give citizens access to free, impartial and confidential advice helping them to make informed decisions, whenever they need it and however they choose to access it. Applicants will be required to travel between Helensburgh and Dunoon/Rothesay. Argyll and Bute Citizens Advice Bureau offers excellent terms and conditions, including a total of 25 days (pro rata) annual leave plus public holidays and a pension scheme with a 6% employer contribution. Argyll and Bute Citizens Advice Bureau is an inclusive employer considering flexible working arrangements where appropriate.